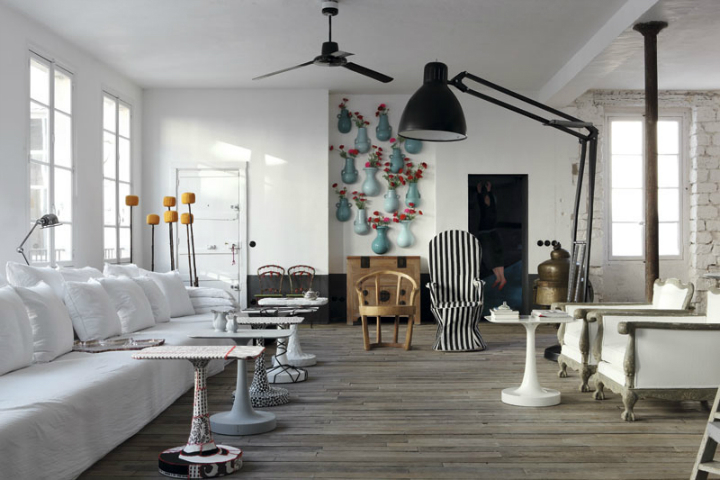 Paola Navone is one lucky lady; her apartment has a rich history meant for more than just history books (having survived the revolution of Paris as well as the great uprising of Europe in the 19TH century). 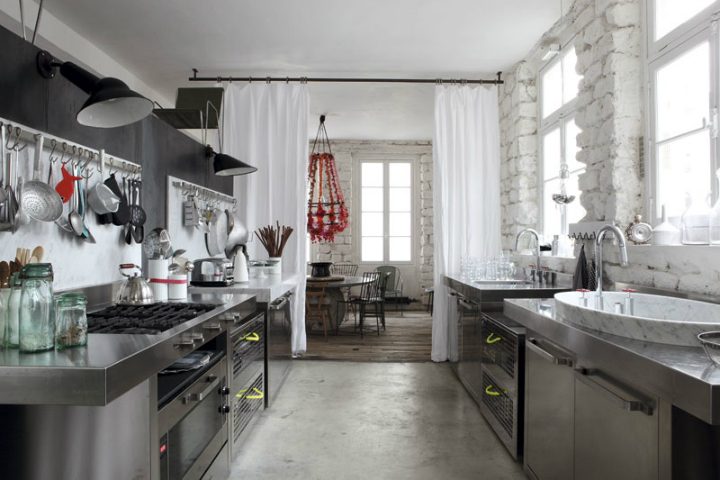 A beautiful home located in the Rue du Faubourg Saint-Antoine in the 11th Arrondissement. At the end of the street, gates separate Paola’s house from the strenuous activities of the street artisans and furniture manufacturers who have established their trade over the course of time. On the outside, the apartment seems antique due to the brick walls that are old with a lot of history engraved on them. Twelve large windows allow for dazzling light to shine brightly in every part of the house. The wooden wall seems frail but holds the weight of all the accessories that bring the house to live. The apartment is seemingly timeless with beauty as described in details. In the middle of the living room, a round table is surrounded by a motley collection of chairs of different designs. 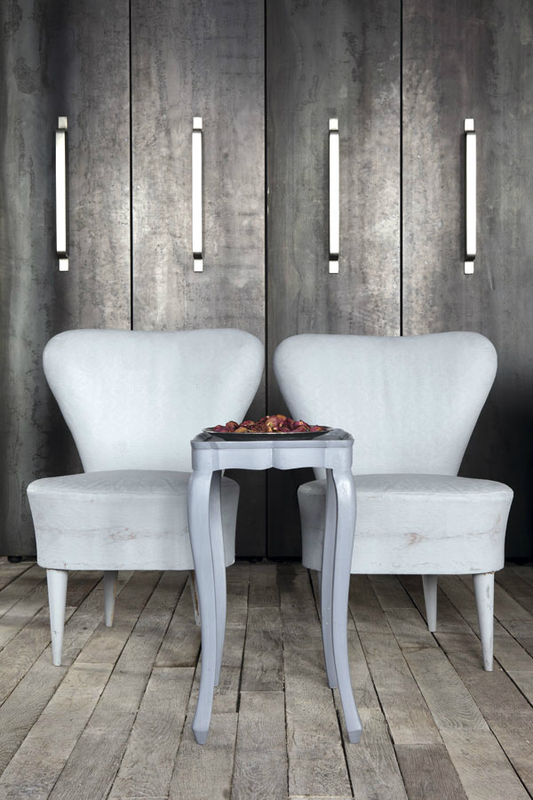 It’s needless to say that the most attractive aspect of the room is the chandelier that hangs majestically over the table and stands out with its distinct color. 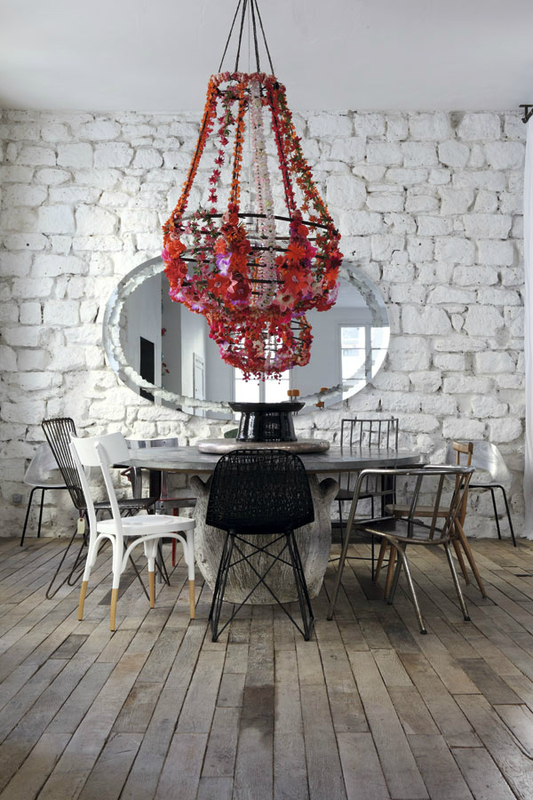 More importantly, the mirror hanging on the wall creates an illusion that contrast the Indian flower garlands made of silk and paper designed by Paula for Casamilano. The cabin doors suit the old floor boards in every regard, giving any visitor a sense of nostalgia of reliving old times of the 19th century where such interior décor was only affordable by the elite of the society. 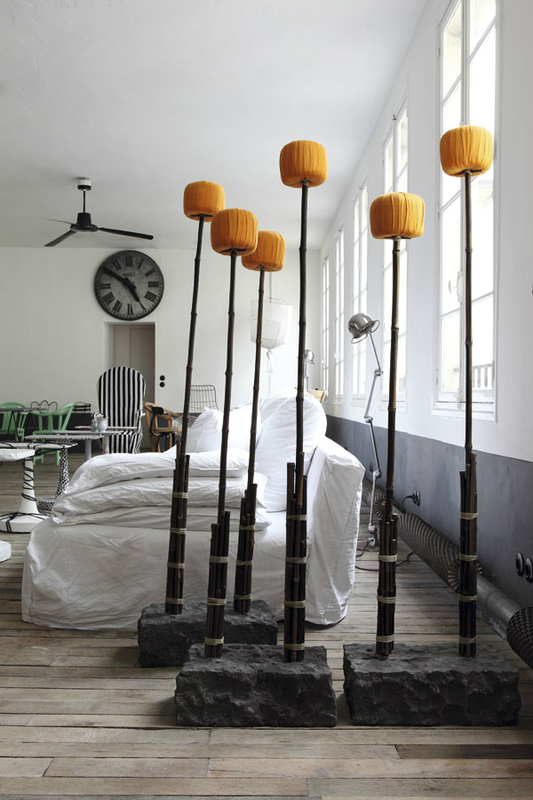 In addition to this, the lamp stands made of bamboo and a Stone Plinth as well as bomullspomponger that enhance contrast with all the bright colors in the room. The stripped chair found in the background made of interwoven white and black pearls adds a touch of class to the already historical setting of the apartment. The Kitchen is neat and meticulous; the white brick walls ensure natural light bounces off its surfaces to brighten the kitchen. State of the art accessories such as stoves, oven, and cutlery set make the whole place a heaven for anyone with an eye for excellent food and desserts. From the kitchen, you cannot fail to marvel at the site of the chandelier that seems so distinct from a distant. Paola is simply an artist, what she has done with the once space is just breathtaking, in one of the rooms a large white couch, approximately six meter makes you feel more at home away from your home. Looking at the various decorations in the house you cannot find the exact words to describe the work of such a genius decorator such as Paola, everything falls into place seamlessly. It’s an honor to experience such work of art.